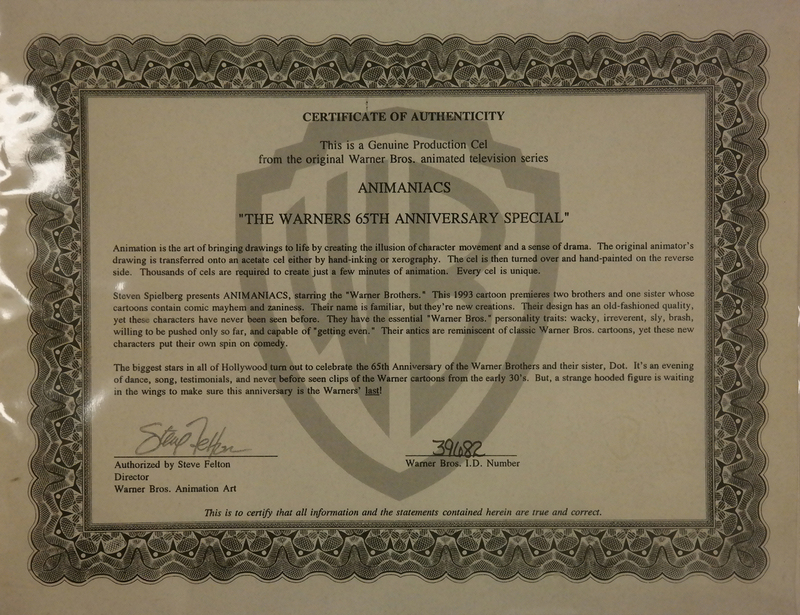 This is an original Production Cel from the Warner Bros. Studios production of the 1994 episode of Animaniacs, The Warners 65th Anniversary Special. 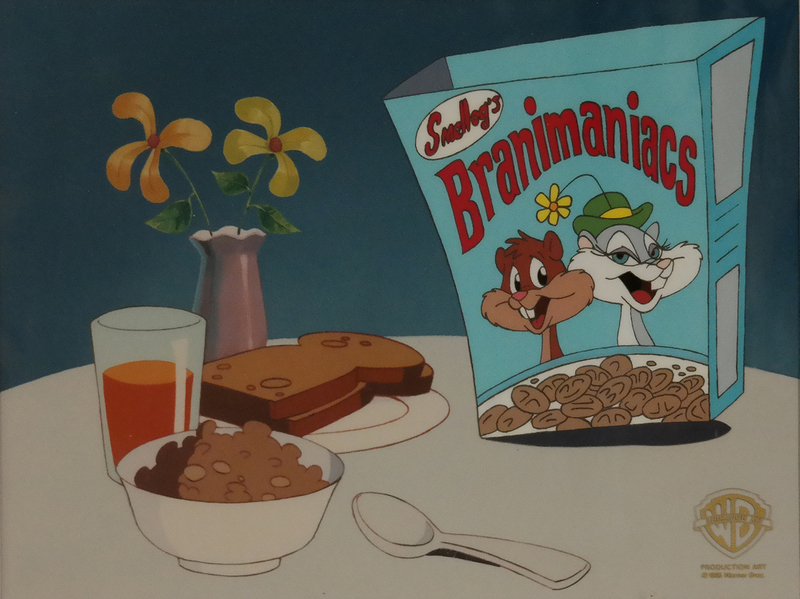 This Production Cel features Slappy and Skippy and was created at the studio and used during the production of the film. 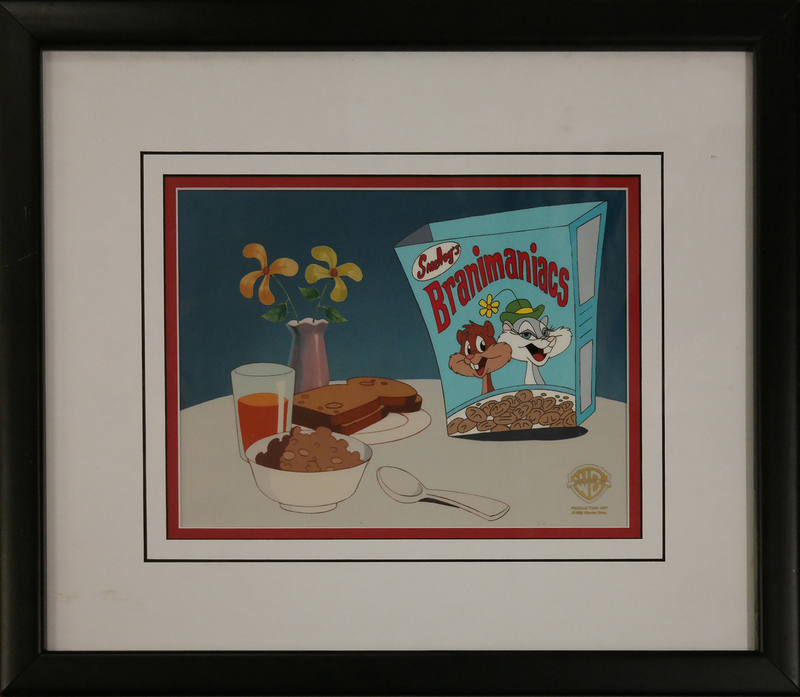 The overall measurements of the framed piece are 15.25" x 17.5", with the mat opening measuring 7.25" x 9.75", and the image itself measures 5.25" x 4.75". The cel is paired with a color copy background.